“Peace on those whom he favors.” That was the promise Rome was making to the people. (See Part 1) These were the words Luke placed in the mouth of the angelic host. Peace, not through the militaristic violence of Rome, but peace through the other-centered, enemy embracing, self-sacrificial, enemy forgiving, humble, servant love of a new kind of King—King Jesus. What we must distinguish is peace as the means, verses peace as the end goal. I think we all can agree that Jesus came to bring peace as the ultimate end goal. We all have the hope that Christ will one day bring an end to the violence that so riddles our world. But how would the Baby lying in a manger accomplish this? This passage seems to indicate that the means whereby peace would be accomplished would not be so “peaceful.” There are two ditches that we must remain out of with this passage. The first is to say, “See, Jesus said not peace, but a sword,” and to rush into using the sword (violence) to try and establish peace. This is NOT what Jesus is saying in the least! (Verse 38 proves it.) The other ditch, which Jesus is actually addressing in this passage, is to say we are to be people of “peace” and therefore we are never to be a source of conflict in the world; we are to always simply go with the flow and not cause waves; we are to be about private piety, post mortem bliss, and personal holiness, never provoking the systemic injustice that is proliferated by the way this world is presently structured. (As a tangent, some interpret Romans 13 this way as well, but remember Paul was writing Romans 13 from a Roman jail cell.) Jesus taught neither using violence to accomplish peace nor did he teach passive nonresistance in the name of keeping the peace, which only allows evil to grow unchallenged. What Jesus taught is nonviolent noncooperation in response to evil. What Jesus is addressing in Matthew 10 could not be more clear. He is not saying that his followers should take up a sword themselves. No, NO! What Jesus is saying is in response to those who would use the label of “peace” for a veil to hide their cowardice, fear, and desire to avoid conflict. Jesus is telling us in clear tones that following Him and his revolution will produce a sword, not in the hands of his followers, but in the hands of those for whom the present structure of this world is stacked in their favor and who see Jesus and his followers as a threat. Look at it this way. How did Rome respond to the early Jesus revolution? 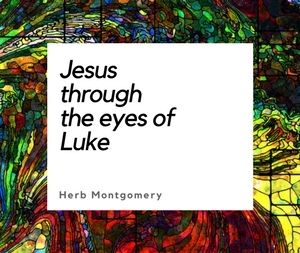 According to Luke in Acts 17, the disciples were accused of “turning the world upside down,” of “acting contrary to the decrees of the emperor,” and “saying that there is another king named Jesus.” (Acts 17.6-8) But what I want you to notice is that this is what was spoken from the perspective of Rome, from a Roman paradigm. It is true that the disciples were acting contrary to the decrees of the emperor, and it is true that they were proclaiming a different King other than Caesar, but they were NOT turning the world upside down. The world was already upside down; the disciples were working to restore, heal, and turn the world right side up once again, enlarging the reign of Christ. Herein though, lies the rub, and that which helps us understand Jesus’ words in Matthew. The way the world was structured in the days of Rome and the way the world is structured today favors a very few at the top, at the expense of the masses at the bottom. It may help you to imagine a pyramid. What Jesus had proclaimed was this Kingdom he had come to establish would be a “blessing” to the “poor,” but it would be a “woe” to those who were “rich.” (Luke 6.20, 24) Jesus had come to turn the world right side up again, which would be a blessing to those the present structure was oppressing, but it would be seen as a threat to those whom this present structure was rewarding. How would those who were being benefited by the systemic evil of this world respond to Jesus and his followers? What Jesus is saying is that the ultimate goal of peace is not going to be accomplished by living a life of no conflict and calling it “being peaceable.” The goal of peace will be accomplished through embracing a cross, both his and ours. Yes, Jesus’ peace, in a way, will be accomplished by a sword, but a not by a sword wielded in the hands of the peace maker. No, it will be a sword in the hands of those who are threatened by the Jesus revolution being wielded against the peace maker, while the peace maker responds in nonviolent, other-centered, enemy-embracing and forgiving love. I want to wrap up this week with the words of a sermon, A Christmas Sermon, given in 1967, by Dr. Martin Luther King, Jr., which I believe is incredibly appropriate entitled Peace of Earth. Read it prayerfully. 2. I want you to dedicate a small portion of time each day pondering these themes. Take time to look up the passages and ponder them. During this time I want you to also write down (journal) the thoughts and insights God shares with you during this time. 3.Share what you feel comfortable sharing with your HeartGroup this upcoming week. According to that little Baby in a manger, His way of peace implies voluntary submission to the penalty for noncooperation with evil. Now let’s go enlarge His Kingdom, one human heart at a time! Next week, we’ll wrap up this four-part series with a look at how this Revolution lying in a manger brings restored Justice. Nowhere do we see how threatening the Jesus Revolution is to those who are being benefited by the systemic injustice of our world more clearly than when we look the reign of Christ in relation to restorative justice. But we’ll get to that next week. May the truths proclaimed by the events that this season brings to the minds of so many be ever-present in your heart.